Share-Net Netherlands is the Dutch knowledge platform for Sexual and Reproductive Health and Rights (SRHR) and one of the country hubs of Share-Net International. Share-Net Netherlands is hosted by the KIT Royal Tropical Institute and has 16 individual members and 36 organisational members from sectors including NGOs, universities, knowledge institutes, governmental and private sector which work in low- and middle- income countries and in the Netherlands with a focus on SRHR. We operate a paid membership – based on the annual turnover of the organisations – and partnership model, but also rely on external investors for financial stability. All people have the freedom of choice, are able to make informed decisions, can take action on their sexual and reproductive health and have access to quality care to meet their sexual and reproductive health needs and rights. To strengthen linkages between research, policy and practice through sharing, generating, translating and promoting the use of knowledge for the development of better policies and practices in SRHR. Share-Net Netherlands has 25 members from NGOs and the Private Sector, 10 Universities & Research Institutes, 14 individual members and the Dutch Ministry of Foreign Affairs. The members form the core of the network and initiate and organize knowledge activities, together with the Share-Net secretariat. The Steering Committee (SC) of Share-Net Netherlands is an advisory body for the Dutch Knowledge Node within Share-Net International and consists of 7-9 members, representing and mobilizing the Network members in the Netherlands to discuss critical issues in the SRHR and development field. There is a balance between members with expertise in the SRHR and HIV fields. The SC members represent the diversity of the network and breadth of its members interest. The SC members can propose themselves or others as candidates for election at the Annual Business Meeting for a period of two years and meet quarterly and whenever issues necessitate an extra meeting. The platform is made up of several Communities of Practice (CoPs) focusing on specific themes within SRHR. We organise other knowledge sharing activities, such as lectures, debriefings and consultations. The following Communities of Practice are currently active and can be joined by members! Bi-weekly newsletters are distributed to all members and registered users updating on progress and highlighting latest news, publications and events. On the national level Share-Net Netherlands gathers and represents its member’s views, advising on policy and practice at key international meetings and conferences. The central website (www.share-netinternational.org) is the focus for the online community. Registered users of Share-Net Netherlands are able to link directly to each other through the online platform of Share-Net International in terms of country, areas of interest and expertise. The online community engages with the themes, posting and discussing relevant research, sharing experiences and advising on messages and improvements for policy and practice. Share-Net Netherlands organises a diverse range of meetings. 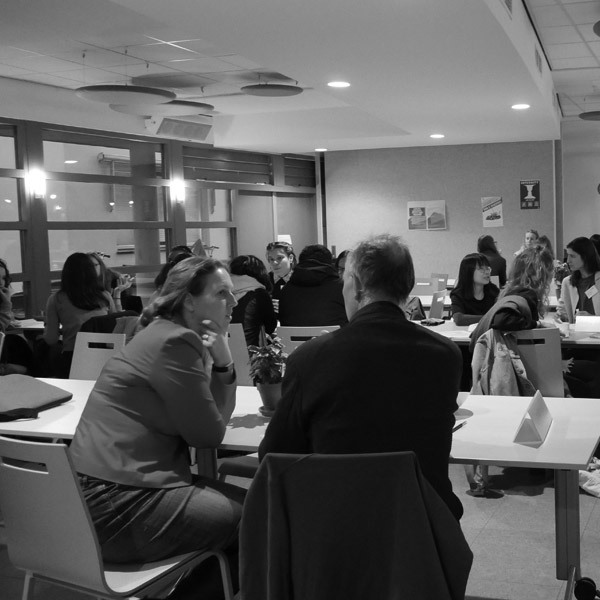 For example, large thematic meetings based on themes selected by our members which attract around 60-80 people. But also smaller ones to discuss a certain topic, have interesting presentations or give (de)-briefings of global happenings. Meetings are also organized when a new research or report comes out.